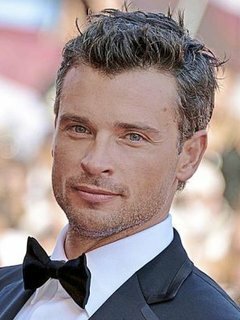 Thomas John Patrick Welling (born April 26, 1977) in the city of New York, New York, USA. The 6" 3" tall star comes from a family of six members which comprise of his father, a retired executive for General Motors, his mother, a "home engineer", a younger brother named 'Mark Welling', who is also an actor, and two other older sisters. 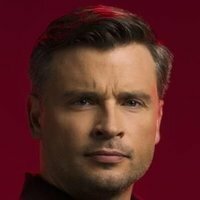 Thomas John Patrick Welling, or Tom Welling as he has always been referred to, is probably best known as Clark Kent from the hit television series, Smallville (2001). Welling graduated from Okemos High School in Okemos, Michigan when he was 18 years old. Before that, he spent his freshman year in the Salesianum School in Wilmington, Delaware. He played a lot of varsity soccer in his high school and Tom received "fair" grades in his exams. But even so, Tom did not want to go to college. Tom actually wanted to be a construction worker and therefore, after graduating, he worked in a construction service site. Tom eventually moved on to modeling after spending a period of time working in the construction business. While modeling, he met fellow celebrity and model 'Ashton Kutcher' while they were booked for a project together. The two eventually become good friends. Even though both Ashton and Tom were famous models, Tom decided to be an actor. He had this offer from a guy who worked in the agency he was signed with to be an actor. Tom attended a few castings and not too long later, became an actor. The acting gigs that he received eventually made directors take more notice of him. 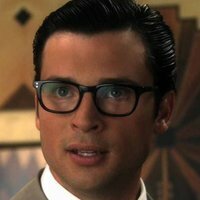 Welling was asked to play the role of Clark Kent in the hit series, Smallville (2001). What many people probably don't know is that Tom actually turned down the role twice. He said that the reason he turned down the role wasn't because the story wasn't good, but it was because he thought the role was bigger than him and he didn't want people to think that he wasn't a good enough actor. Even so, Tom ended up taking the role because he had the feeling that the show was going to be a great hit and he would be a fool not to take it. 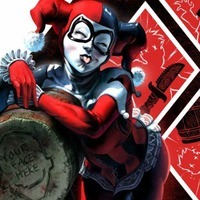 Tom even said he felt some sort of connection between him and his character, Clark Kent. Therefore, Tom made himself a household name. Other than only becoming a face on television, Welling also acts in other movies. The movie with which he is probably most associated is Cheaper by the Dozen (2003), in which he starred with 'Steve Martin' and 'Bonnie Hunt'. Cheaper By The Dozen also had a second installment and he played the same role. Tom has also starred in a B-grade horror flick, The Fog (2005) together with Lost (2004) star, 'Maggie Grace'. Although that movie didn't really achieve box office success, Tom's acting talents still got noticed by the critics. Tom may be the guy who gets the girl he wants on television, but Tom apparently does not think too much about his love life. In fact, Tom got married to Jamie White, one of his closest friends. The couple wed on the 5th of July 2002. Tom has also said that the person he respects the most is his wife because she has the greatest heart. According to reports, Tom is currently living with his wife in Los Angeles although he relocates to Vancouver while filming Smallville. Was on Stephenie Meyer's wish list to play Emmett Cullen before casting even began for the movie Twilight. His shoe size is fourteen. Auditioned for the role of Tag on _"Friends" (1994)_ (qv). Like 'Christopher Reeve' (qv), was not a big Superman fan prior to being cast as Clark Kent, and in fact continues not to read Superman comics. Worked in construction after graduation until he became a model. Favorite movie: _Mutiny on the Bounty (1935)_ (qv). Turned down the role of the young Clark Kent twice before accepting it.